A lot of people contact us about the same sort of questions. In order to reduce the amount of time spent answering such questions – and to help you get answers more quickly – here is a list of the most frequently-asked questions and their respective answers. If the answer to your question isn’t here, please get in touch via the Contact Us page. How much will I get paid if I play for your team? Can you provide me with a job or accommodation? Can I just come along and train with the team? When are trials going to take place for the next season? How often do you train? Does it matter if I don’t turn up to training as long as I turn up to games? I have a job where I have to work some weekends. Can I still join the Lions? Can I just play home games? I don’t have any kit at the moment. Can you lend me some so that I can come and try out? Can you teach me how to play hockey? Can I join your team if I’m under 18 years old? Do you sign players from abroad? I’ve not played in a while and I don’t think you’ll sign me yet, but how can I improve if I can’t sign? How will I know if a game is cancelled or is going to start at a different time? I’m a hockey fan from abroad. 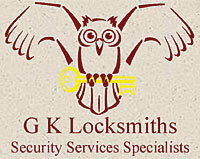 Can you send me something for free, such as a badge, keyring or shirt? How do I book tickets for games and how much do they cost? I would like a job with your team. What are your current vacancies or to whom can I send my CV? Can you answer questions I have about the junior Lions? How much would I get paid if I played for your team? We play in an amateur league, so no-one gets paid to play. In fact, players have to contribute towards the cost of hiring ice time for training sessions. No. Guys who play for us are usually already living and working in the UK or have the means to do so. Can I just come along and train with you guys? Training sessions can only be attended by those who have signed for the team or have arranged (in advance) to try out. They are not open to the public. However, we may run open training sessions for all once the season has ended and if these sessions are going to run then the details will be posted on the home page. Our trials are usually held on every Tuesday throughout July but the actual dates will be posted on the home page of the website when they have been finalised. If the dates aren’t shown, this means they aren’t yet arranged! Throughout the season (and in the weeks preceding it) we train on Tuesday evenings. All players are expected to train if they wish to play the following weekend. If someone can’t make a training session they should, out of courtesy, let the manager or coach know. If you are going to miss just one or two games over the course of the season then this shouldn’t be too much of a problem. However, if you are going to regularly miss games or fail to turn up then you’ll be letting the rest of the team down so no, we wouldn’t want to sign you. Absolutely not. Every member of the team is expected to play both home and away games and, in most cases, make their own way there. Unfortunately not. Anyone who wants to come and try out should have their own kit. A quick search on Google will uncover shops and websites that sell kit, plus eBay is always an option. If you cannot play hockey to a reasonable standard you will not be able to play for the Lions. 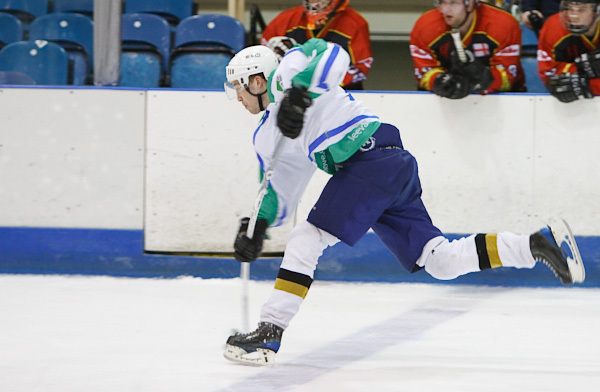 If you are over 18 you could join a recreational hockey team, such as the Eastern Stars, who are based at Lee Valley Ice Centre and welcome new players of any standard (there are rec teams based at lots of rinks). The rink does run beginners’ hockey courses but these are for under 18s only. Further details are available at the Junior Lions’ website. Players aged under 18 should apply to join the junior team that’s relevant to their age group. Occasionally players in the under 18s team will be given the opportunity to play for the senior team but they will still be expected to play their under 18 games and these take precedence. Teams in our league are limited in the number of foreign-trained players who can play and at present, only one foreign player is permitted on the ice at any time. Registration of players from abroad is very expensive and it is not possible to guarantee that we will cover the cost. If you are not British but are interested in joining the Lions, please check to see whether we already have an “import” before sending us your details. If the coach would like you to come for a trial, he or the manager will be in touch. If you submit your details when we’ve said we don’t need them then although we’ll keep them on file, we won’t actually send you a reply. I’ve not played in a while and I don’t think I’m good enough yet, but how can I improve if I can’t sign? If you’re a bit rusty or if there’s another reason why you can’t sign for us (eg you’re a foreign-born/trained player) then you can join a recreational hockey team. 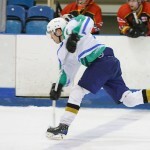 Rec teams are dotted about all over the place but one that plays at the Lee Valley Ice Centre is the Eastern Stars, who welcome new players of any ability. We will post news of cancellations or changes to face-off times on the home page of the website as soon as we are told about them. Please note that we do not run Lee Valley Ice Centre and have no say over what they do or do not tell visitors to the rink. We are a small club with extremely limited finances so we cannot give things away, no matter how nicely you ask. How do I book tickets for games? There is no advance booking facility. Just turn up to the Ice Centre and pay at the door as there are always seats available. Tickets are £5 for adults and £3 for kids, although these prices are subject to change, so please contact the rink to be sure. Everyone involved with the team, from the manager and coach to the game-day announcer and webmaster, is a volunteer. No-one is paid for the work they do for the team. If you want to be paid for your involvement in hockey you will need to contact teams in higher leagues. No. This site deals only with the senior (men’s) Lee Valley Lions. The junior teams have their own website, which is at www.leevalleylions.org.uk.